Today, October 4, 2018, marks a new low in the history of streaming content. Today, CBS All Access, the paid app experience owned by CBS, has officially done it. They’ve broken the $1 per minute streaming threshold. Unlike ABC, NBC, Fox, and… pretty much everyone else who put their TV content on Hulu for one reasonable price, CBS decided to go a different way. Their “CBS All Access” app costs about the same as Hulu, but it only features content from CBS. Sure, there’s a bit of original programming, but the Tiffany Network figured that since they had the number one rated show in the country, they could just go it alone. You’d pay for it. Then, they used the nuclear option. Knowing that there was a segment of the population who would pay nearly anything for a new episode of Star Trek, they developed ten episodes covering those days just before the rise of Kirk and Spock. Suddenly CBS All Access went from an also-ran to an all-star. At least they did, for the three months that Star Trek: Discovery aired. And then, I presume, things returned to normal. 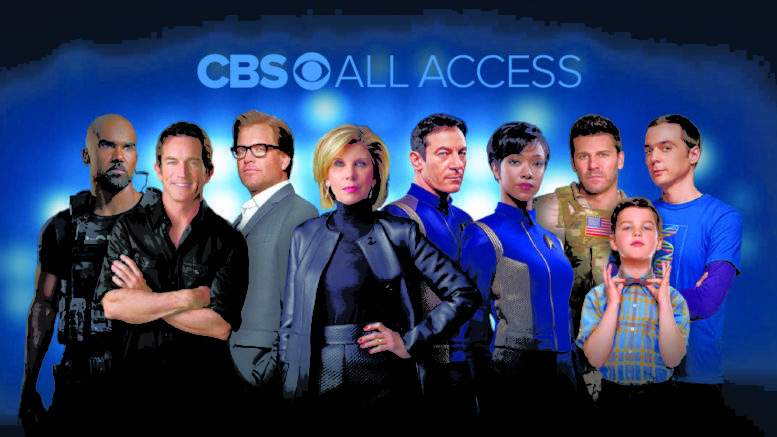 CBS All Access will say it has hundreds or perhaps thousands of hours of content all available for one low price, but for many of us who signed up, we signed up for one show. Four hours of commercial-free TV for ten bucks a month. Eh, it’s the cost of entertainment we said. Still cheaper than going to a movie we said. Never mind that people all over the world could get it as part of their Netflix subscriptions and we had to pay extra. We gritted our teeth and did it. …and naturally CBS pounced. They’re producing a new season of Star Trek: Discovery and of course we’ll all watch again. We’ll pay the ten bucks for four hours. But that’s not what this article’s all about. The new season premieres in 2019. Today, CBS All Access is releasing a series of short films called “Short Treks.” They’re going to be available exclusively on CBS All Access. One ten-minute film per month will explore a new aspect of the Trek universe. And they want us to pay for it. Now come on. This is a new low. When movies come out, they often put out short promotional films just to spur interest. But this is just a cash grab designed to get us to pay for an entire month of CBS All Access, ten bucks if you go commercial free, so we can watch for ten minutes. And it’s going to work. Although I haven’t done it yet, I’m probably going to sign up for CBS All Access again, just to watch these ten-minute gems. I’ll hate myself for doing it, but I’ll do it. I could probably find them on some video sharing site and there’s a decent chance they’ll end up on YouTube at some point, but I won’t wait. I’ll probably finish this article and go watch. This doesn’t make me feel very good about myself, but it makes me feel far worse about CBS. Seriously, this is not how you do fan service. I get it, this stuff’s expensive to make. But with any other franchise you’d be doing it just to get the word out. Trek fans have done all that work for you, and now all you have to do is sit back and rake in the money. These had better be some fricken awesome short films.